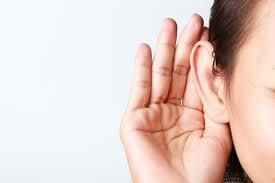 A question often asked is whether tinnitus a symptom of hearing loss? While most commonly linked to hearing loss, tinnitus is not always directly related to hearing loss. Whether or not the condition results in hearing loss, it is currently incurable. Clinics such as the tinnitus Cognitive Center can help you deal with the side effects. The exact cause is never found for most people with the condition. The audial canal contains many delicate nerves and fibers that are easily damaged. 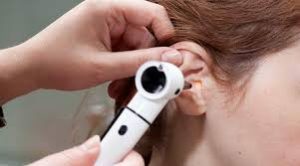 Once the hairs in your inner ear are bent, they can transmit unwanted electrical signals to the brain which results in the whooshing, musical noise, or ringing often associated with tinnitus. 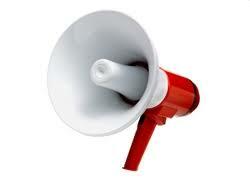 For the majority of those afflicted, excessive noise causes the condition. Due to this, up to 90 percent of people experience hearing loss in large part due to damage to the sound-sensitive cells and inner ear. Other causes of tinnitus include respiratory, chronic health problems, head or neck injuries, benign tumors, and infections. In this case, it is recommended to contact a doctor. Tinnitus is also linked to earwax blockage, bone changes, and age. Furthermore, certain medications also cause phantom noises. Hearing loss is not correlated with all of these issues. Those experiencing hearing loss do indeed suffer from tinnitus. The absence of audiological input is a direct cause of the condition. Studies have found that as many as 15.8% of people experiencing tinnitus had hearing loss across all frequencies and 83 percent lost a degree of hearing in higher frequencies. Still, with a large number of causes, tinnitus is not necessarily a symptom of hearing loss. Even if it is not a symptom, damage to the ear can lead to hearing loss as well. Can I prevent Tinnitus and hearing loss? 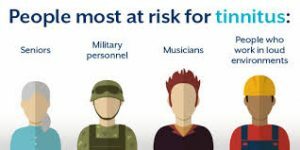 Tinnitus is preventable. Regular exercise and being careful of the level of noise in your environment mitigate the risk of both hearing loss and tinnitus. 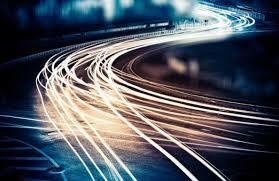 Long term exposure to noise can easily cause both issues. Certain professions such as machinists and lumberjacks should always wear ear protection. While many people can help prevent tinnitus others may be unavoidable to avoid the condition. Certain medications and biological factors may play a role. How can I manage my related hearing loss and Tinnitus? There are a variety of ways to control your tinnitus symptoms. Despite being uncurable, it is possible to learn to cope with the side effects. These side effects are potentially devastating and range from anxiety to depression and suicidal thoughts. Hearing aid manufacturers are starting to develop technologies that help combat hearing loss. Oticon and Signia are just two of the brands working on devices capable of training the nerve in the ear and block certain frequencies. The most effective therapies are based on an individual’s needs and deal with thoughts and reactions to the symptoms associated with tinnitus. Many people may ask whether tinnitus is a symptom of hearing loss. The Tinnitus Cognitive Center can help answer these questions and provides a unique therapy designed to train your brain to cope with negative thoughts in a way that reduces anxiety and depression. Contact us today for more information. 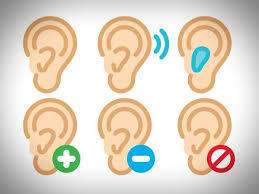 Audio therapy for tinnitus uses real noise to treat your perception and reaction to Tinnitus. Stephen Geller Katz, LCSW-R uses sound therapy in his Tinnitus Cognitive Retraining Therapy to help patient’s deal with the pain, frustration, and anxiety of Tinnitus at the Tinnitus Cognitive Center. What is audio therapy for Tinnitus? Audio therapy is a form of cognitive retraining therapy seeking to eliminate the symptoms of Tinnitus through sound. Our therapists utilize proven methodologies to help you cope with your condition. There are different approaches to sound therapy in the treatment of Tinnitus. Masking exposes a patient to a sound volume similar to their symptoms. Distraction seeks to replace the sound of tinnitus with something from the environment, and habituation trains the brain to classify a sound as unimportant. Why can’t I perform audio therapy on myself? While it is possible to purchase white noise and other machines, medical grade equipment far outpaces their commercial equivalents. Notched-music and computer modified sound emphasizing specific tones are only available on high-quality devices. These types of machines alleviate the burden of Tinnitus even after they are used and are only available in clinics such as ours. Aside from the cost of a medical device which most insurance plans do not cover, our trained staff knows how to find and target the frequencies which cause your flare-ups. Our founder has over 20 years in the industry. 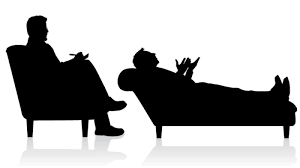 An experienced consultant should be used in conjunction with psychotherapies such as cognitive retraining therapy. The American Tinnitus Association recommends using audio therapy in conjunction with education and support from a trained professional. 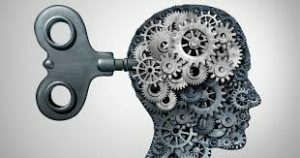 Cognitive retraining therapy targets the core beliefs, thoughts, and automatic reactions to stimuli, replacing negative thoughts with more positive outcomes. Tinnitus Cognitive Retraining therapy uses this methodology to help you deal with your Tinnitus symptoms. Tinnitus is incurable. Therefore, it is necessary to focus on mitigation. By targeting certain beliefs and thoughts, the desired response can replace adverse reactions. Researchers find this method to be particularly useful. The Korean Journal of Audiology and our patients find that symptoms are more controllable over time. This leads to lower levels of anxiety and deals with everything from clinical depression and suicidal thoughts to the fear of job loss. If left unchecked, these beliefs and thoughts have a significant impact on your life. Tinnitus sufferers reported actual job loss and even a fear of sound. Is audio therapy for Tinnitus painful? 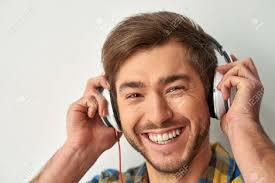 Audio therapy for tinnitus deals directly with sounds in the range of your tinnitus. This treatment is not soothing ASMR but effective, becoming easier over time. 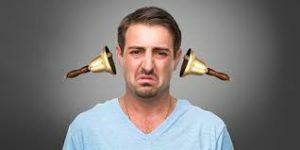 Your initial reaction, as indicated on the Tinnitus Handicap Index, will likely present itself during a therapy session. Patients with acute sound sensitivity may encounter some discomfort when using amplifying devices. When should I use audio therapy? Audio therapy is useful when symptoms present themselves. Solutions can involve portable and bedside machines, coupled with appropriate counseling. What other forms of therapy exist? Other cognitive therapies exist seeking to combat the effects of tinnitus. These exercises all aim to retrain the brain to better handle flare-ups. Aside from cognitive therapy, drugs provide some relief. However, they can have harmful side-effects including addiction. Audio therapy is a standout in treating tinnitus. To find out more about sound therapy for tinnitus, contact the Tinnitus Cognitive Center and schedule an appointment today. 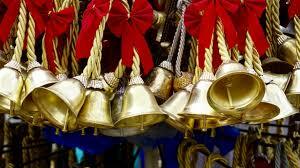 Ringing in the ears can border on painful. Victims of tinnitus experience a wide range of symptoms capable of jeopardizing hearing, employment, and even relationships. The tinnitus Cognitive Center can identify tinnitus and developed a therapy to help you control the effects of the condition. 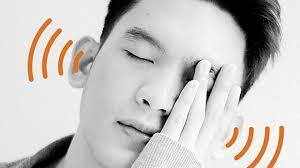 Tinnitus is an audial condition which presents itself as a ringing, whooshing, high-pitched noise, or even a song. 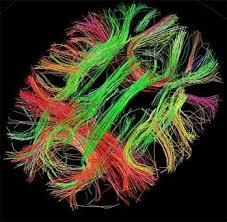 The noise occurs when the brain attempts to make sense of sound within certain frequency ranges. The intensity of this condition can become extremely discomforting and painful. The perceived sound related to tinnitus ranges from quiet background noise to one that blocks out everything. For most people, this problem does not merely disappear. Symptoms often present themselves when environmental background noise reaches a particular frequency. 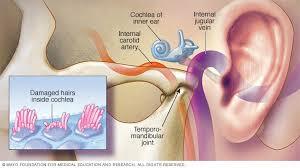 Tinnitus may be an intermittent or continuous condition. It may be slightly or significantly uncomfortable. A common misdiagnosis of tinnitus occurs in patients with Radio Frequency hearing (RF Hearing). RF Hearing is a condition that causes individuals to hear high-pitched transmission frequencies. Under special circumstances, people can hear frequencies ranging from 2.4 megahertz to 10 gigahertz. Is Tinnitus a serious problem? While tinnitus symptoms are present in a significant percentage of the population, the condition is subjective and difficult to measure objectively. The Tinnitus Handicap Inventory is used to measure the seriousness of the issue. This subjective test measures the issue based on an impact scale assessing the effect of the issue on a person’s quality of life. Sufferers of tinnitus can experience panic attacks, increased depression, exhaustion, and a host of other issues. The brain perceives the ringing in the ears as dangerous which results in the production of adrenaline and a fight or flight response. The fight or flight response creates a negative feedback loop which results in increased stress levels which, in turn, worsens symptoms. If left untreated, the effects will continue to grow worse. When tinnitus symptoms becomes too great, quality of life may be impaired. Speaking with others, remaining well rested, and maintaining a daily routine are all affected by the symptoms. 42 percent of people suffering from the condition report adverse work affects. Victims have even reported suicidal thoughts. The origins of tinnitus range from sensorineural hearing loss or congenital hearing loss to traumatic brain injuries and taking certain medications. The most common source of the condition is noise-induced hearing loss. This form of hearing loss is common in most industrialized countries. There are a wide number of triggers which cause the noise. This includes common wiring and sound signal transmissions. Stress relief, the removal of irritants, being open about the condition, or cognitive training helps reduce the symptoms. However, tinnitus does not entirely disappear for most people. Instead, efforts to control tinnitus focus on management of the symptoms rather than finding a complete cure. When the roaring, whooshing, and ringing in the ears becomes too much to bear, the Tinnitus Cognitive Center can help. The center developed a unique therapy, cognitive retraining therapy, which retrains the brain to allow you to continue to live a normal and healthy life. Contact Stephen Geller Katz, LCSW-R for more information. The history of identifying and treating tinnitus goes as far back as ancient Rome and Greece. 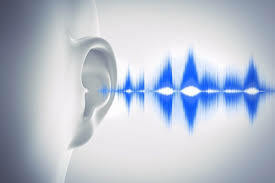 While some methods of the ancients were effective, more modern science led to treatments such as Tinnitus Cognitive Retraining Therapy developed at the Tinnitus Cognitive Center by Stephen Geller Katz, LCSW-R.
Did the Romans and Greeks know about Tinnitus? Knowledge of Tinnitus treatments reaches as far as the Roman Empire and Greece. Ancient philosopher Celsus analyzed the condition and developed a practical solution revolving around lifestyle, diet, and pharmacology. 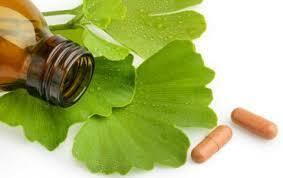 The treatments recommended by classical societies were not far from currently available therapies. In fact, the most effective therapies today revolve around behavior and are magnified by leading a healthy life. When was the Tinnitus Handicap Index Created? In 1996, researchers developed the Tinnitus Handicap Index based on a multitude of behavioral factors analyzing the quality of a patient’s life. This benchmark became a standard in diagnosing and understanding how people are afflicted by the associated phantom noises, pain, and frustration. Before this, therapists utilized custom or relatively unstudied criteria. The index became the standard diagnostic test. Have any breakthroughs been made in Tinnitus Research? The 2000s saw a significant period of growth in the treatment of tinnitus. With the problem reasonably understood, therapists began formulating ways to help others cope with their condition. Research led to the development of cognitive retraining therapies. 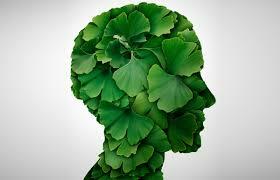 This form of psychotherapy treats negative thoughts and reactions as stemming from a set of core beliefs. By targeting these beliefs and their resulting intermediate thoughts, therapists found they could help others control the pain, frustration, and anxiety related to tinnitus. Journals and studies back up cognitive retraining therapy. The Korean Journal of Audiology and Brain and Behavior in both peer review and experimentation found significant improvement in symptoms. When was Tinnitus Cognitive Retraining Therapy developed? In the 2000s Stephen Geller Katz, LCSW-R utilized 20 years of clinical experience to create an advanced form of cognitive retraining therapy. Katz and his peers view the issues related to negative thoughts. 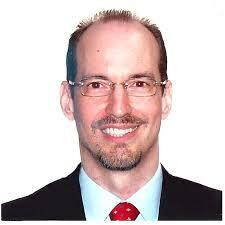 His approach utilizes exercises and treatments to help patients deal with their tinnitus symptoms. Clients continue to report favorable results. Has a cure ever been found for Tinnitus? Tinnitus is incurable. Damage to the audial nerve and cilia are irreversible. Instead of focusing on a cure, researchers focus on mitigation. These efforts have varying degrees of success. Medicines such as Alprazolam, hearing aids, a variety of cognitive therapies, and even some alternative medicines claim to cure or alleviate symptoms of the condition. 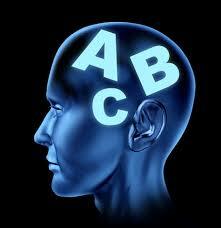 Medicines, hearing aids, and cognitive treatments are the most helpful forms of treatment. Drugs prove effective but have side effects such as nausea, dizziness, and even addiction. Hearing aids work on the frequencies related to tinnitus and can strengthen the audial nerve to better handle symptoms, but most are effective only when worn. No alternative medicine has proven to work. Studies have not found the use of dietary supplements, chiropractic, acupuncture, or any other form of holistic treatment effective. Cognitive retraining remains the most promising form of mitigation. Still, researchers continue to work on the problem and are making headway towards understanding the mysteries of the inner ear. By following the history of identifying and treating tinnitus we can find effective solutions that can help you control your tinnitus. Contact us today if you would like to find out how mitigation efforts can help you deal with side-affects ranging from sleeplessness to depression. Maltby, Maryanne. Ancient voices on tinnitus: the pathology and treatment of tinnitus in Celsus and the Hippocratic Corpus compared and contrasted. (2012). Retrieved from http://www.tinnitusjournal.com/articles/ancient-voices-on-tinnitus-the-pathology-and-treatment-of-tinnitus-in-celsus-and-the-hippocratic-corpus-compared-and-contrasted.pd.pdf. There are multiple different types of tinnitus. 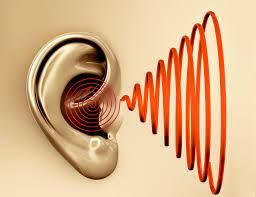 The Tinnitus Cognitive Center can help you discern a course of action for whichever form of tinnitus you are suffering. Tinnitus comes in different forms. Some of these types are related to how the body affects your symptoms. Pulsatile tinnitus is related to the circulation of blood through the body. Checking your pulse against the noise you are experiencing can verify this form of the condition. Somatic tinnitus occurs when the sensory system influences or increases your symptoms. The root cause of this type is neck muscle spasms. It can be alleviated through correct posture and lifestyle changes such as sleeping in a better position. Tinnitus may be mistaken for other Menieres disease as well. 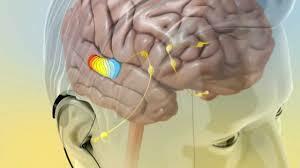 Dizziness and vertigo are related to Menieres but is not tinnitus. This form is linked to phantom noises and even a painful ringing sound. What categories of tinnitus exist? Two categories exist. These are subjective and objective. Subjective tinnitus is most common and occurs in one or both ears. In this form, others do not hear your phantom noises. 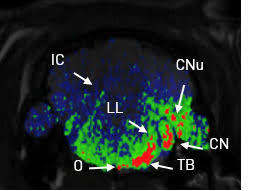 Objective tinnitus is rare and is closely related to pulsatile tinnitus. 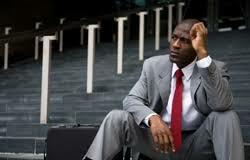 It occurs when people other than yourself can hear the perceived noise. Proper diet and exercise help mitigate objective tinnitus. A variety of environmental, congenital, medical or other factors cause tinnitus. Head and neck injuries, medicine, inner ear damage, and loud noises are known to produce the condition. Environmental factors are the most significant cause of tinnitus. Individuals working with machinery or in concert settings should always wear ear protection. 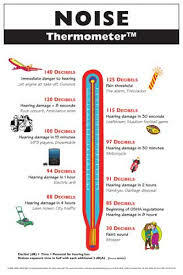 Hearing loss is often associated with these settings as well. The condition produces effects which worsen if left unchecked. Anxiety often results from the flight or fight response related to the associated phantom noises of subjective tinnitus. This reaction heightens stress, leads to issues such as lack of sleep and clinical depression, and in turn worsens symptoms. Mitigation is achievable through proper diet, exercise, and a reduction in stress levels. Removing loud noises from your environment can help as well. Lifestyle changes are particularly useful for pulsatile tinnitus. High blood pressure, injury, and heart disease are causes of this condition. In some cases, tinnitus is inevitable. Medicines, hearing loss, and congenital diseases are often unavoidable. How are the different types of Tinnitus treated? Tinnitus is uncurable. However, the symptoms are mitigable. 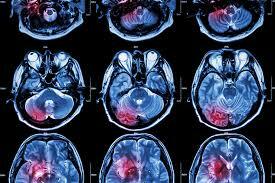 Treatments range from prescription drugs to cognitive retraining therapy. They work for most types of tinnitus. Cognitive retraining therapy such as the Tinnitus Cognitive Retraining Therapy offered at our office work well. These therapies replace negative thoughts and reactions with a more positive response. Audio and behavioral therapy aims to make you more comfortable in dealing with your symptoms. Unlike drugs, cognitive treatments do not have side effects. Dizziness, nausea, and addiction can occur when taking medicine. However, recent advances in understanding the ear may allow scientists to develop better drugs. Alternative medicines are not proven to work. There is no correlation between the management of symptoms and treatments such as acupuncture, chiropractic care, and dietary supplements. The Tinnitus Cognitive Center offers a groundbreaking treatment for the condition. Contact Steven Geller Katz LCSW today to schedule an appointment. Types of tinnitus. (2018). Retrieved from https://www.resound.com/en-us/hearing-loss/tinnitus/types.